NDP MP Gord Johns talked about his two uncles who died after their lives were “completely destroyed” by the Indian residential schools, a fact long hidden from him because it was too painful for his family to talk about. Conservative MP Cathy McLeod (Kamloops-Thomson-Cariboo, B.C.) spoke about the quiet sadness in a First Nations community where she had worked as a nurse. NDP MP Romeo Saganash (Abitibi-Baie-James-Nunavik-Eeyou, Que. ), a residential school survivor, said he was not capable of speaking in the House because of the trauma he experienced. MPs from all political parties shared emotional, often personal accounts of the impact residential schools have had on Indigenous people while debating a historic NDP motion on April 26 for the House to ask Pope Francis to formally apologize for the Catholic Church’s role in the schools which were run from the 1840s to 1996. Individual churches that ran the schools have apologized, but the Catholic Church, as a whole, has not. The Truth and Reconciliation Commissions estimates that 150,000 Indigenous children were removed from their families and forced to attend the schools where 6,000 died and 32,000 were sexually assaulted. Many of the MPs who rose to speak on Thursday, under emotional strain and personal reluctance, told poignant stories of their own families and communities living in generational pain. Mr. Johns (Courtenay-Alberni, B.C.) said he had been adopted by a stepfather from the Fraser River Cree Nation, and for years, believed his dad was the eldest of his siblings. He said it took years before he realized he had two older uncles who were taken to residential schools against their wishes and badly abused, and couldn’t find “any sense of normal at any level of their lives” because of the trauma they faced there. It was something so painful that his family doesn’t talk about it, he said, adding he had only spoken to his father about it for the first time the night before. MPs were debating whether to ask Pope Francis to come to Canada in order to apologize for the pivotal role the Catholic Church had played in establishing and operating the residential school system. The church had run about two-thirds of the residential schools. 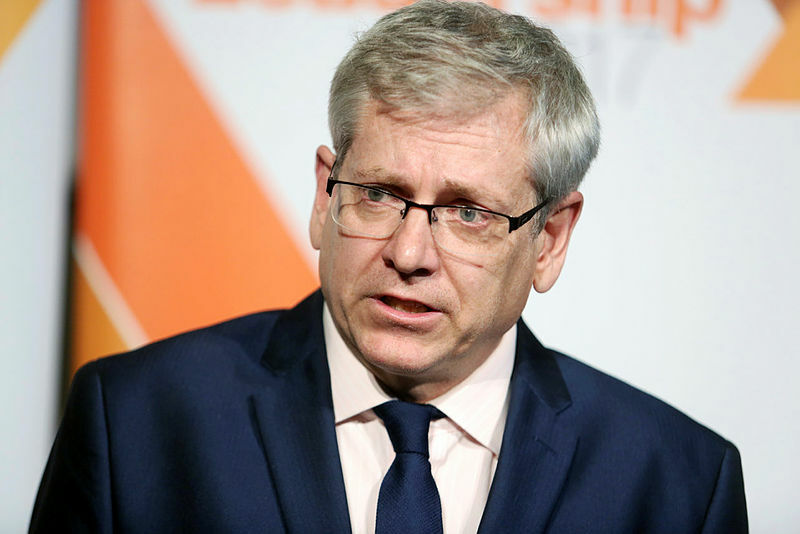 The motion, tabled by NDP MP Charlie Angus (Timmins-James Bay, Ont. ), was in response to a March 27 letter from the Canadian Conference of Catholic Bishops (CCCB) that Pope Francis couldn’t “personally respond” to the Truth and Reconciliation Commission’s call to action that he visit Canada and apologize. 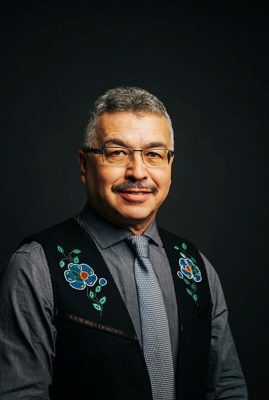 The motion was seconded by Mr. Saganash and also asks the Catholic Church to pay monies owed to residential school survivors to a rough sum of $23-million, and to turn over relevant documents regarding its role in the system when called upon by its survivors, their families, and scholars. 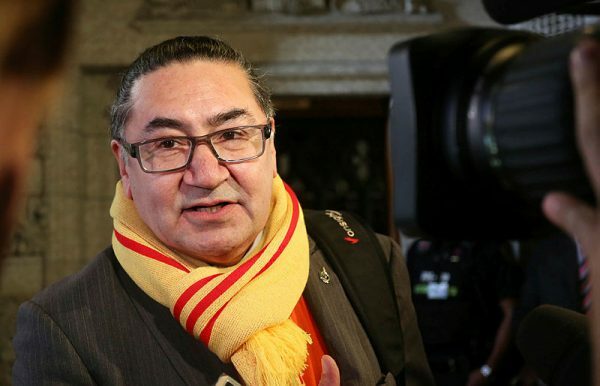 Mr. Saganash, who was forced to attend a residential school along with his 13 siblings, briefly noted in the House that he had not put his name forward to speak on the motion. “The reason for that is pretty simple. I have gone to residential school, 10 years in my case. When people are being invited to speak about that experience, they are being invited to relive that trauma. I was not prepared to do that. I do not think I am capable of doing that,” he said. In 2013, Mr. Saganash described to the Truth and Reconciliation Commission the death of his brother Johnny, whom he had never met. In tears, he said his family still doesn’t have a death certificate or know what really happened to Johnny. 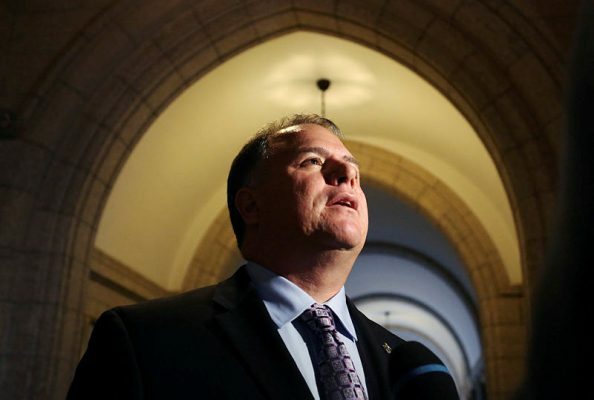 The Quebec MP said he wasn’t allowed to return home for his father’s funeral from the Anglican Church-run residential school he was sent to in La Tuque. Que. 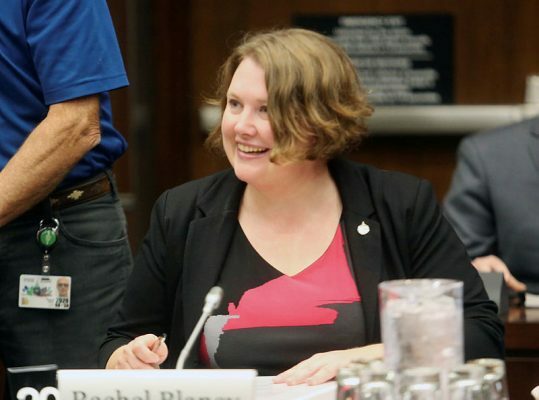 Fellow NDP MP Rachel Blaney (North Island-Powell River, B.C.) told the House that her husband went to a residential school for “many years,” and her grandmother did as well between the ages of four and 16 as did her father and husband. 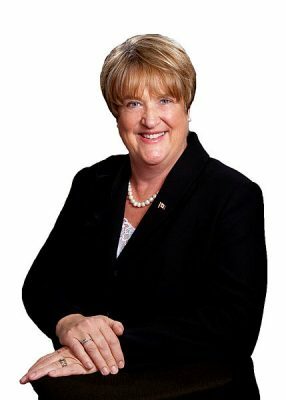 Conservative MP Cathy McLeod (Kamloops-Thompson-Cariboo, B.C. 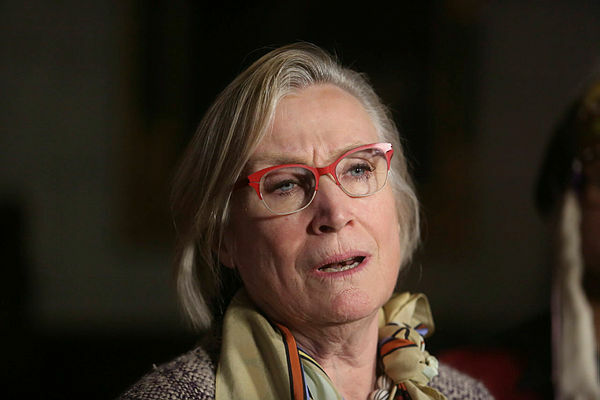 ), her party’s Indigenous affairs critic, said she had grown up in a suburban middle-class community, and her understanding of Indigenous culture and history was limited until she was hired to work as a nurse in a First Nations community in British Columbia in the 1980s. Working there, she saw that the impact of residential schools was generational. “The elders of that community had not attended residential schools…but underlying that there was a deep sadness and a concern,” she said. Ms. McLeod and Conservative MP John Nater (Perth-Wellington, Ont.) have publicly expressed support for the motion. The fact a debate on the motion even occurred is due to Conservative colleague Garnett Genuis (Sherwood Park-Fort Saskatchewan, Alta.) voting against unanimous consent for the motion when it was tabled on April 18. He told reporters that day he believed it should be up to the church to decide how it approaches an apology. Failure to get unanimous consent meant the motion had to be debated in the House Chamber, and will be voted on May 1. The Conservatives will not be whipping their caucus for the vote, meaning Tory MPs will be free to vote their conscience. Conservative leader Andrew Scheer (Regina-Qu’Appelle, Sask. ), however, is unlikely to be present for the vote. Mr. Scheer will be delivering a speech at a meeting of Assembly of First Nations chiefs in Gatineau at 2:45 p.m. on Tuesday, according to Jake Enwright, his director of media relations. The vote on the motion is scheduled to take place right after Question Period that day, which typically ends around 3:15 p.m. The timing of the vote was unanimously agreed upon by all parties, according to Sabrina Atwal, a spokesperson for Government House Leader Bardish Chagger (Waterloo, Ont.). The day-long debate on April 26 began with a moving speech from Mr. Angus, who pleaded to the Catholic Church to “do the right thing.” Speaking to a sparsely-filled House chamber, he said he was thrilled Pope Francis is a Jesuit, as they have dedicated their lives to helping the poor and shaping his own outlook on life. “What I learned from the Jesuits is that as Christians, faith is not good enough to be charity. It has to be systemic. It is about changing the systems that keep people down,” he said. Mr. Angus said he was confident the Pope would hear the call of Parliament, but was appalled by the excuses of Canadian bishops. “They have tried to evade their role in working with us on reconciliation…They have followed a pattern, time and time again, of defending, covering up, and hiding for each other. It all comes back to liability. It all comes back to money. “It is not only the acknowledgement of a past wrong, but often the first step toward healing and closure for those who were impacted,” she said. Indigenous Liberal MP Michael McLeod (Northwest Territories, N.W.T.) told the House his entire family and wife’s family had attended a residential school. He is from Fort Providence, N.W.T. on the banks of the MacKenzie River, which had a residential school and a Catholic mission. “I grew up listening to horror stories of children being abused while in the mission’s care. Those acts were conducted by priests, nuns, and brothers who were part of the mission, part of the Catholic Church. NDP MPs Christine Moore (Abitibi-Témiscamingue, Que. ), and Georgina Jolibois (Desnethé-Missinippi-Churchill River, Sask. ), an Indigenous woman from northern Saskatchewan, both said they were Catholics and hoped Pope Francis would live up to the compassionate principles that have defined his tenure as leader of the Catholic Church. “I never expected the progress we have seen under Pope Francis…I have seen him venture into territory that I never would have expected him to have the courage to enter into,” Ms. Moore said. Liberal MP Yvonne Jones (Labrador, N.L.) spoke as well, saying her mother is a survivor. Liberal MP Marc Miller (Ville-Marie-Le Sud-Ouest-Île-des-Soeurs, Que.) also spoke in Mohawk language in the House, saying those words would’ve never been allow to be said in residential schools.